Fear is just another commodity. Hollywood, with makeup bleeding all over the cracks. I got good advice from the advertising world. Killers in America work seven days a week. The judge said 5 to 10, but I said double that again. A system built by the sweat of the many creates assassins to kill off the few. All the power's in the hands of people rich enough to buy it. In these days, nations are militant, we have slavery under government. Kill or be killed, a nation of destiny has got to be filled. New Updates! (4/26/2019) We've been working really hard on completing our membership system so you can submit quotes and keep track of them. Once this is complete in the coming weeks there will be a lot more quotes by The Clash and other authors. We've also changed the sorting on the site so you now see the latest The Clash quotes first. 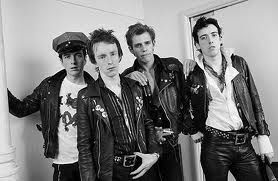 Our goal is to have the best The Clash quotes on the web!